The UNAMA office in Kabul has published its yearly civilian casualty report. Like its previous reports, it has once again judged erroneously concerning civilian casualties. A large percentage of civilian casualties has again been attributed to the Mujahideen of Islamic Emirate while 24% has been attributed to the Kabul regime and a mere 2% to foreign forces, who are the main cause behind all the ills of our country. The Islamic Emirate, which is very sensitive as regards to civilian casualties and has put immense focus on its prevention, considers this report partial and rejects it completely. The Emirate has an authoritative department for the prevention of civilian casualties which publishes complete and accurate information from time to time. It vigorously spends its energies to prevent civilian casualties in Jihadic ranks and has focused Mujahideen on observing rules of engagement and caution during operations. In spite of this, attributing a large portion of civilian casualties to the Mujahideen of Islamic Emirate by UNAMA is injustice. Such actions gives further blessing to the real culprits (foreign forces and their stooges) to continue viewing the lives of civilians with contempt because they will not be held accountable anyway!!? The number one perpetrators of civilian casualties in the country are foreign occupying forces who drop several ton bombs on cities, villages, and townships, carry out nigh raids on civilian homes, incarcerate innocent people and carry out attacks on hospitals, mosques, religious seminaries and other public facilities. Similarly the second placed perpetrators of civilian casualties are the army, police and arbakis of the stooge Kabul regime who carelessly shell villages and civilian homes, burn civilian compounds, carry out kidnappings, execute prisoners, violate honor of people and have soured the lives of people while they themselves walk freely. Despite so many atrocities (by the real perpetrators) yet still only being held responsible for a small portion of civilian casualties clearly discloses carelessness during collection of data and the nature of false verdict based on partial, malicious and intelligence information. Meanwhile attacks on key regime targets by the Mujahideen have been labeled as attacks on civilians in the UNAMA report and their numbers inflated. For example, if off-duty officers and security personnel were targeted by the Mujahideen, these were called civilian fatalities but our Mujahideen, their supporters, relatives and even distant associates who were targeted, martyred and raided by the enemy have not been accounted for. Repeatedly the education and learning, health, NGOs, preaching and guidance officials of the Islamic Emirate and even officials distributing aid to public have come under US airstrikes, had their homes raided, been martyred and thrown into prisons. 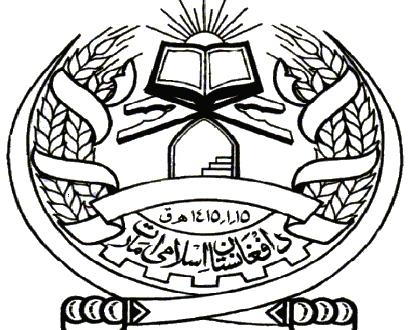 Targeting government workers involved in martyring, harassing, detention, passing prison terms on Mujahideen and even adjudicating death sentences upon them were labeled as attacks on civilians in the UNAMA report. According to accurate data collected by Islamic Emirate’s Department for Prevention of Civilian Casualties – who collect data directly from battlegrounds, conduct proper investigations and publish their report – 77.10% of all civilian casualties in the year 2016 were caused by the American forces and the stooge security apparatus under their command, 17.48% were caused by Daesh and other clandestine elements while the remaining 12.42% were caused by the Mujahideen, with the cases of the assailants being dealt with by the Islamic courts. The Islamic Emirate does not seek to justify civilian casualties in any circumstance, rather it promises that it will exert every effort in preventing civilian casualties because it values the lives of its countrymen and feels a sense of Islamic and Afghan obligation towards them. However it also wants international organizations to take care in publishing such statistics and asks them to reconsider the sources of their data so that, may Allah forbid, such reports do not become a means for disregard for civilian lives and does not encourage a culture of impunity by acquitting criminals.